We all want the best for our children, but how do you really empower your child. We know how poor self-esteem andlack of self-confidence impacts the way we approach and live our life. Parenting can be tough, you read so much about what you shouldn’t do but what about what you should do. So how do you empower our child who may be sensitive, sensory challenged, shy, disabled or ill? 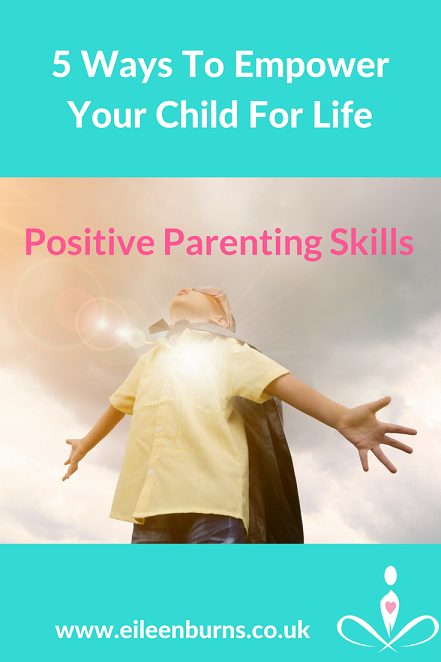 Here is a five powerful yet simple ways you can empower your child for life! 5 Simple, Powerful Ways You Can Empower Your Child Today! Help Them Recognise They Are Enough: We live in a society and culture that in many ways has everyone believing they are lacking, they need to have or be more to be loved, accepted, valued, respected, successful. When this is so not true. This is such a huge distortion. We can help a child open up and live their greatest potential. But helping them recognise they are enough right now, at this moment is the most powerful thing you can. Celebrate Your Child’s Unique And Quirky Traits: Helping your child celebrate those quirky, unique and challenging traits they may have is about helping them recognise they are so much more than enough. And that they are here with their own unique traits, for a particular purpose. There are somethings a child grows out of but it is so important to love and accept them just as they are. Open Up Your Child’s Perception And Potential: Help your child see out of the box, look past limitations even your own. Open them up to the rich tapestry of life, other ideas, other skills, let them try things. Often parents unawaringly or well meaningly limit their child’s dreams, they can squash down their ” Joie de vivre” Joy of Living. Or they do the opposite and fill in all sorts of activities into their child’s schedule without enough downtime. Sadly over 18 years as a Stress Therapist I have seen many children with depression and anxiety. And some children who developed suicidal tendencies exacberated by this sort of pressure from parents. Originally published at eileenburns.co.uk on February 28, 2018.